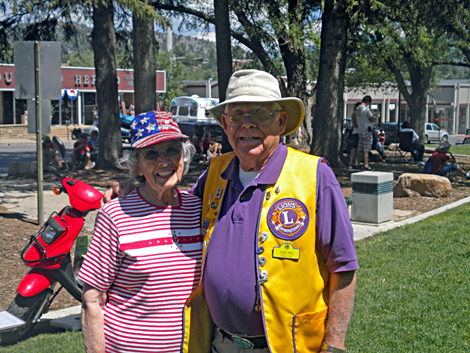 One happy Durango Lions Club Fan at the July 4, 2011 Snow Cone Fundraiser at Buckley Park. 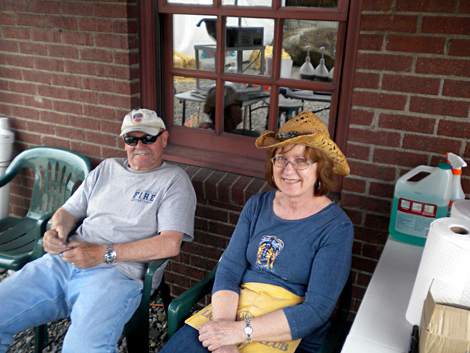 Andy & Lucille ready to work at the July 4, 2011 Snow Cone Fundraiser at Buckley Park. 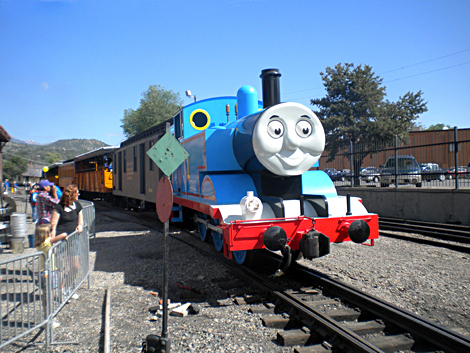 Thomas The Train Snow Cone Fundraiser at the Durango/Silverton Depot. Carol, Gary & Jim trying to look busy!!! Thomas The Train Snow Cone Fundraiser. Dan & Mary taking a break. Thomas The Train Snow Cone Fundraiser. 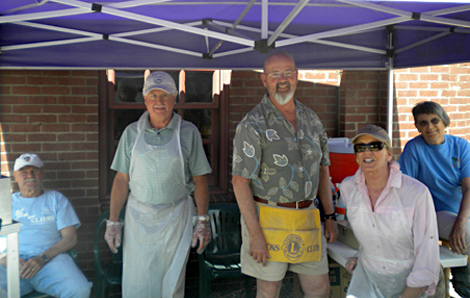 Dan, Gary, John Susie and Eliane hard at work. 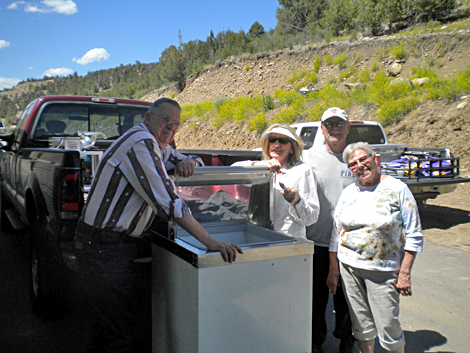 Lions sold snow cones, ice cream and water. Lion Millicent taking a break from driving the golf cart. Golfers getting started at the 1st hole. Glacier Club's beautifully groomed course! Here is a happy group! 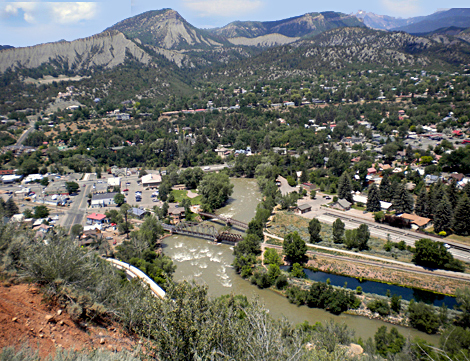 Look at this gorgeous view! One group of happy winners. Remember this same happy group? They won! Dennis installing our new President Jeff. 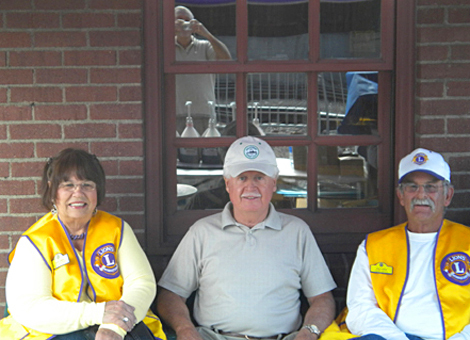 Tom, Bob & Jim doing their Lions duty..."We Serve"
John riding Andy's 1 1/2 scale train at Lions summer party.